In 2018 we matched 12 influencers with the watch brand. We invited the influencers for the opening of the Daniel Wellington store in Amsterdam as a kick off of the collaboration. Each influencer made beautiful content for Instagram. 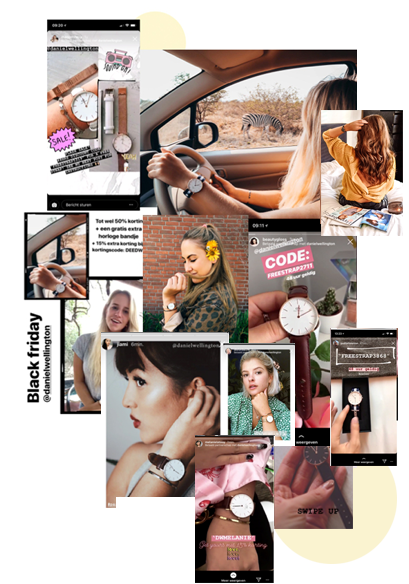 When posting pictures, influencers offered their follower base a discount on the purchase of the watch by simply attaching a promo code to their posts. 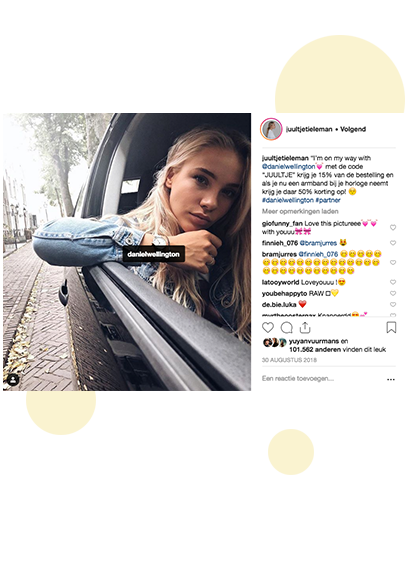 With Instagram stories the influencers directed their followers to the Daniel Wellington webshop were they could buy a watch with discount. 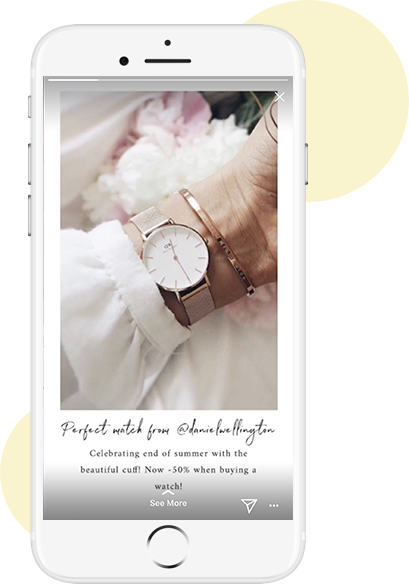 For Daniel Wellington 12 female influencers were selected who are active within the fashion vertical. Because traffic to the webshop was very important, we've selected the influencers for conversion power. Every influencer joined an exclusive partnership with Daniel Wellington for at least 9 months. during this period they created content based on seasonality (eg Christmas). The SocialReblz team supported the 12 influencers during the campaign period in making their content. Among other things, brainstorm sessions were organized to create unique angles of approach for the content.